It’s a revolution in internet service that everyone will be talking about in 2018 and 2019, and it’s just starting to get started. “Fixed wireless” means that your home or business gets internet over the air like a cell phone, through a permanently installed antenna on the roof. Unlike using your cell phone, the expectation is that you’ll get 1000Mbps speeds, enough for everyone in the home or business to stream. 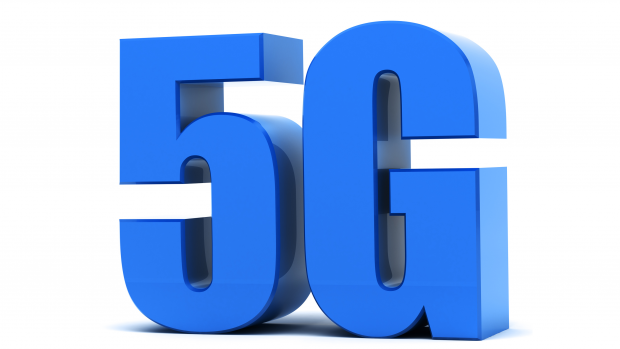 This is possible though the use of new 5G network equipment and also through the larger antenna placed on the roof. For many cellular providers (and DISH) it’s the holy grail. Let’s take a look at why. If you got on the internet at all in the 20th century, you dialed up. You chose a provider who had a local dial-in number and all internet traffic went through plain old phone lines at a miserably slow .0056Mbps (back then we called it 56kbps, it’s the same thing) or slower. This was great for the local phone companies who got a lot of money for those local dial-up numbers, and also because people actually got a second line in their homes so that they could also talk on the phone. Big cash for those guys at that time. By 2000, the new hotness was DSL. DSL was a true digital solution that gave speeds up to about 3Mbps but still did so over regular phone lines. Unlike dialup you could make a call anytime you wanted to and not lose internet service. But, that speed didn’t really keep people happy for very long. In the mid-2000s, though, things started to get interesting. Cable companies started leveraging their existing coax and fiber builds to provide internet to the home. This meant it was possible to get speeds of up to 20Mbps and more importantly people had a choice. Phone companies fought to catch up and by 2010 a lot of people could decide between two internet service providers without losing the ability to connect at high speed. Interestingly, the internet market was quiet for most of the 2010s with the exception of speed increases. Competition for customers meant that it was possible to get 100Mbps speed at a reasonable price, and with the improvements in cell phones, some people were able to simply give up on a land-based internet system altogether and just use cellular. Now, things are poised to jump ahead in a whole new way. By implementing fixed wireless 5G, you may have 6 different choices for home internet. AT&T, Verizon, DISH and Sprint have all announced fixed wireless solutions for 2018 or 2019 and when you look at the phone company and the cable company, there’s never been more of a selection of internet providers. Not only that, but fixed wireless looks to bring true high speed service to rural areas that have never had it before. Who will win? I think the customer ultimately wins because they will have the most choice, but if the past ten years are any indication the winner will be the company who provides the best bundle. I see only one company that will be able to provide home internet, cellular, live TV, and landline (if you still care) and that’s AT&T. One bill, one payment for internet, and the best value in the history of the internet. Sounds good to me… now all we have to do is wait. Is it true? You can’t name a file with these terms?